Still no plans yet for the 4th of July? Well not to worry because there are plenty of things for you to do in Western New York and Northwestern Pennsylvania! ERA Team VP Real Estate & Vacation Rentals is here to help you out and give you the game plan for the exciting 2016 4th of July weekend! 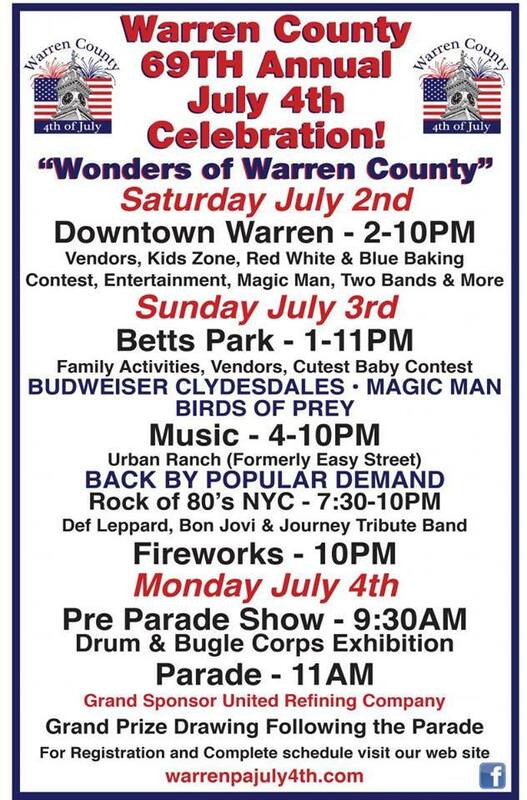 One event that you will not want to miss is the 69th Annual Warren 4th of July Celebration in downtown Warren, PA! This is Warren’s biggest event of the year and it is great fun for everyone. The event starts on Saturday, July 2nd at 2 PM and ends on Monday, July 4th after the annual 4th of July parade that starts at 11 AM. Some of the festivities during this memorable celebration include live music, food and craft vendors, a baking contest, fireworks and more. The list continues and the fun doesn’t stop, so head on down to Warren, PA this 4th of July weekend and celebrate this 69th annual celebration the right way! Celebrate independence day on July 3rd at 4 PM on Quaker Beach at the Allegany State Park! The Coldspring Volunteer Fire Department is hosting a chicken BBQ on the beach to satisfy your taste buds. If you want to rock out to some tunes, make sure you are on the beach at 7 PM for the local band, Goodbye Dawn. Listen to some music and look out at the beautiful views of Quaker Lake. After they rock the night away, the night will end with a beautiful fireworks show overlooking Quaker Lake. Whatever you do, you will not want to miss this show and the amazing views of Allegany State Park on this Independence Day! Do you want to experience Chautauqua Lake to its fullest potential? 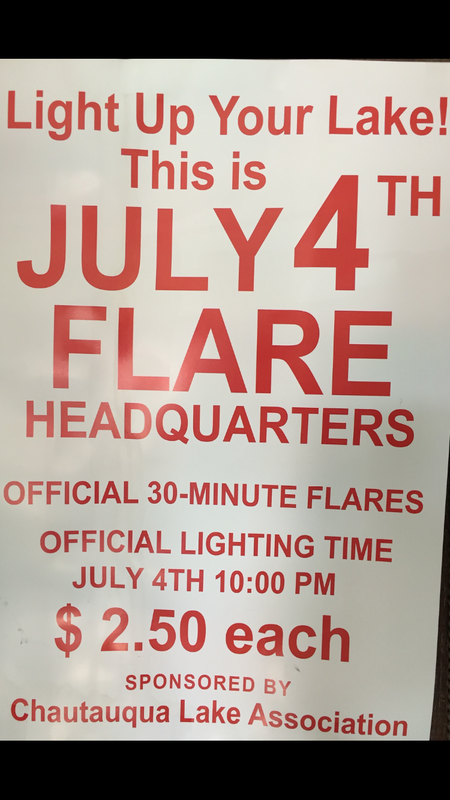 Well pack your flares and head on down to Bemus Point, NY on the night of the 4th of July at 10 PM for the annual light up the lake event! Flares light up the whole entire lake and shine through the night. Sit by the water and watch beautiful fireworks form all around the lake with family and friends! This year’s 4th of July weekend is set to be better than ever! No matter what event you choose to do, you will not be disappointed. Northwestern Pennsylvania and Western New York have got you covered and will make this summer’s 4th of July weekend one to remember! Next Next post: Enjoy your “My Team VP” MY BREW compliments of the Southern Tier Brewing Company!